Nigeria's legislature has agreed to offer Gambia's longtime autocrat, Yahya Jammeh, political asylum in hopes he will relinquish power. 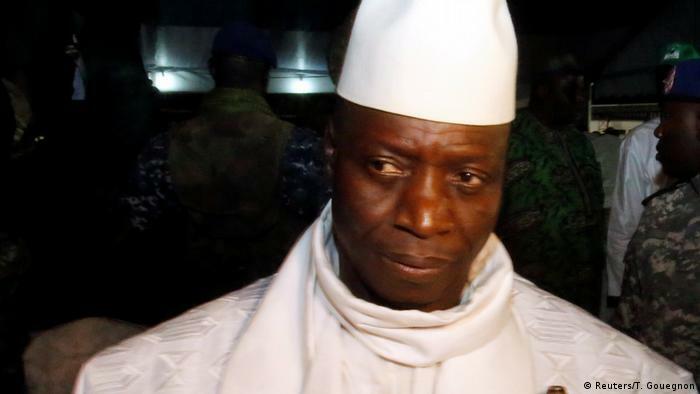 Jammeh has refused to accept defeat from last month's presidential elections. Nigerian lawmakers voted on Thursday to grant political asylum to entrenched Gambian leader Yahya Jammeh. Abuja hoped the move would be a strong bargaining chip for President Muhammadu Buhari, who leaves on Friday to lead a regional delegation to resolve the crisis in Gambia by persuading Jammeh to give up power. Jammeh, who seized power in a 1994 coup, once boasted that he would rule Gambia for "a billion years" and that he could personally cure AIDS. Known for strict authoritarianism and human rights abuses, it initially came as a shock when he appeared to accept presidential election results in December that saw rival Adama Barrow emerge with a clear victory. o stop Barrow's January 19 inauguration. The Supreme Court, which has not met in over a year, is said to be largely under Jammeh's control. However, Gambia has had to call in judges from Nigeria and Sierra Leone after the dismissal of two justices and the jailing of a third. The head of the Gambia Bar Association, Aziz Bensouda, called the move unconstitutional. "The inauguration of the president elect should be held when Jammeh's term officially ends. The court does not have any mandate to put an inauguration on hold," he said. Jammeh's refusal to relinquish power has given rise to fears of conflict ahead for a region all too familiar with totalitarian rulers and civil conflict. To that end, Nigerian President Buhari and a regional delegation hope to set the stage for a diplomatic resolution to the conflict after they arrive in Gambia on Friday. Jammeh may have right to be wary of Nigeria's promise of asylum however, for after offering safe haven to Liberian warlord Charles Taylor in 2003, Abuja bowed to international pressure to let him be tried for war crimes. In 2013, Taylor was sentenced to 50 years in prison.